What if I can’t pay my tickets or fees and fines from criminal court? We know that homeless people get charged with a lot of small crimes. Examples include loitering, panhandling, obstructing the sidewalk, trespassing, and littering. Very often, the penalty for these minor crimes is a fine—either a ticket or a fine imposed in court. The fine is supposed to be paid by a deadline. If you don’t have the money to pay that fine and you miss the deadline, you can be charged with an additional crime which is usually called something like “failure to pay” or “contempt” in the local crimes code. This second charge might result in an additional fine or another kind of penalty such as community service or even jail time. If the court system is able to communicate with you by phone or mail, which is not always possible when people do not have a permanent home, the payment office may contact you if you have had difficulty paying your fine. In that communication, they will likely tell you if it is possible to arrange a payment plan or an alternative to payment (such as attending a class or doing community service) if you cannot afford to pay. Being poor does not relieve you of criminal punishment; it just gives you an excuse for not paying the full fine by the original deadline. So if the court system tries to make arrangements with you, you are supposed to cooperate in forming a plan and fulfill your part of the arrangement. You may need to fill out forms or appear in-person for a conversation about your ability to pay. You can ask for a payment plan or payment alternative as soon as your fine is assessed; you do not have to wait until they add a charge of non-payment and send you a second ticket. If you don’t give the court a way to contact you and you don’t reach out to the court before they come looking for you, these criminal charges will just stay on file until the next time you have an encounter with the police. As these various charges and your lack of cooperation with the system mount up, so do the penalties that they can use against you. At some point, a police stop that might otherwise be uneventful will become a big deal because the officers will look you up and see that you have unresolved charges. They may take you to jail because of your outstanding charges. In March of 2016, the Department of Justice (DOJ) issued a letter to state and local criminal courts regarding unpaid fines. The DOJ urged the court systems to confirm whether someone is financially able to pay a fine before punishing him for not paying it. It also called on the court systems to honor Constitutional due process rights. The letter spells out specific ways to honor due process: giving people notice before punishing them, giving them alternatives to payment, and not suspending their license or requiring expensive bond as the only ways of avoiding jail. If your court system is not acknowledging your inability to pay criminal fines, your ACLU or the public defender’s office might take action on your behalf. The ACLU published a report in 2010 about how people suffer increasing punishments after not being able to afford their court fines. Subsequent to that report, state ACLU offices have produced helpful information tools for the public. Here are examples: Pennsylvania – Washington– Colorado – Ohio . Find your local ACLU affiliate to get instructions and other support if you cannot afford to pay a ticket or costs or fees assigned by a criminal court. On June 19, 2014, the Ninth Circuit Court of Appeals decided the case of Desertrain v. Los Angeles against the city for ordering police to cite and arrest people who were living in their cars. I published an analysis of the court’s decision at http://jurist.org/forum/2014/06/linda-tashbook-homeless-ordinance.php. Cities should require their police departments to serve and protect the people who have to live outside–just like the serve and protect everybody else. Please read the article and pass it along. Is it illegal to take food from dumpsters? Sometimes because of local ordinances against providing food to the homeless, such as laws requiring costly permits to conduct group meals, hungry people seek out food that has been thrown away. If property, including leftover food, has been abandoned, then it no longer belongs to the previous owner and taking it is not stealing. In most cases, generally when trash is outside and expected to be picked up by the trash collectors, the courts have considered the trash to be abandoned property. These abandonment cases were not about hungry people taking food. These cases were about police officers who, in gathering potential evidence from garbage cans, were accused of conducting illegal searches. See California v. Greenwood at http://supreme.justia.com/us/486/35/case.html and State v. Beltz 160 P.3d 154 (Alaska Ct. of Appeals June, 2008) and Young v. State 72 P.3d 1250 (Alaska Ct. of Appeals July, 2003). When the trash is stored indoors or in a secluded area, it is often not considered abandoned. Business-owned dumpsters, located on a business’s own private property and not shared by multiple businesses might not contain abandoned property. Dumpster companies provide lockable lids, so businesses can lock their dumpsters and keep their trash inaccessible can lock their dumpsters. Many businesses lock their dumpsters to prevent thieves from stealing account numbers and other private information. If you think of locking the dumpster as a safety precaution that businesses can take to avoid problems when it is likely that thieves will go through the trash, you might also think that restaurants should take safety precautions when they know that hungry people take food from their dumpsters. Maybe the law should require that non-perishable food be bagged separately or that food be packaged against bacteria and labeled with the date. To research this kind of idea, look for court cases about “premises liability.” The most efficient way to find court cases is to go through a printed case index or an electronic database. Google Scholar and Justia.com both reproduce lots of case decisions for free online. Look for print sources and other databases at your county law library. See also the list of self-help legal research guides available from the State, Court, and County Law Libraries section of the American Association of Law Libraries. On the topic of food safety, know that there is a federal law called the Bill Emerson Good Samaritan Food Donation Act that authorizes restaurants, caterers, stores, individuals, churches, etc… to donate “apparently wholesome food or an apparently fit grocery product” to non-profit organizations that will distribute it to needy people without being liable for problems that might be inherent in that food. When trash is not considered “abandoned” and it is still considered the private property of the trash can or dumpster owner then, obviously, taking all or part of that private property is theft. In some municipalities and states, there are specific theft laws punishing dumpster diving. Even if those laws don’t exist in a particular place, generic theft laws can be used against people who take someone else’s property whether it was in the house, in the yard, in his hands, in a trash container or anywhere else. Look for city and state laws at http://law.justia.com/. There is a whole article about trash ownership and abandonment in 62 ALR 5th 1 (volume 62 of American Law Reports page 1) which is available at most county and university law libraries. The article is titled “Searches and Seizures: Reasonable Expectation of Privacy in Contents of Garbage or Trash Receptacle” and the author is Kimberly Winbush. What legal rights do you have if the police are rough with you? Police are authorized to use force as necessary to stop and detain a suspect,[i] but if they use excessive force beyond what is needed to control the suspect, they can be found guilty of assault and possibly violating the suspect’s civil rights. [ii] If this happens to you, you can file a complaint with the Department of Justice. The police officer’s determination about how much force to use is based mainly on the suspect’s behavior. Sometimes, mentally ill people behave in ways that demonstrate hostility and dangerous unpredicatbility to the police. Homeless advocates seeking less forceful police handling of mentally ill homeless witnesses, arrestees, and prospective arrestees should read the Council of State Governments Justice Center’s March 2010 report putting forth data and ideas about police interactions with the mentally ill. The report contains research results and also research questions and policy recommendations for police departments to follow. These programs exist with the hope of resolving problems more efficiently than would be possible through litigation. Efficiency means not only rectifying a particular dispute as soon as possible, but also quickly fixing the problem that led to the complaint against an officer. Sometimes the underlying problem is a stressed or violent officer and sometimes the underlying problem is stressed or uncooperative citizens. When the officer is found to be the cause of the problem, his department can retrain, reassign, or otherwise work with him to prevent future incidents that would be similar. When the problem arises from perceptions or behaviors by members of the public, the police department or another unit of the local government can implement a community education program to help avoid recurrences of that kind of problem. [i] Model Penal Code §3.07(1) Use of Force Justifiable to Effect an Arrest, §3.07(2) Limitations on Use of Force §3.07(3) Use of Force to Prevent Escape from Custody §3.07(5) Use of Force to Prevent Suicide or the Commission of a Crime. [ii] Michigan v. Summers, 452 U.S. 692, 101 S.Ct. 2587 (1981). See generally, Linda J. Collier and Deborah D. Rosenbloom, Arrest, 5 Am.Jur.2d. §145 (2006). [iii] U.S. Dept. of Justice, Federal Bureau of Investigation, National Use of Force Data is available at https://ucr.fbi.gov/use-of-force. [iv] The U.S. Department of Justice has a full explanation of the federal laws against police misconduct and instructions for filing a complaint. See United States Department of Justice, Addressing Police Misconduct, https://www.justice.gov/crt/addressing-police-misconduct-laws-enforced-department-justice. [v] U.S. Dept. of Justice, Civilian Oversight of Law Enforcement: A Review of the Strengths and Weaknesses of Various Models is available at https://www.ojpdiagnosticcenter.org/sites/default/files/NACOLE_Civilian_Oversight.pdf. [xi] Graham v. Connor, 490 U.S. 386, 394 (1989). See also Jones v. Philadelphia, 890 A.2d 1188 (Pa. Comm. 2006) and Sacramento v. Lewis, 523 U.S. 833, 843; 118 S.Ct. 1708, 1715 (1998). [xv] Wagner v. Memphis, 971 F.Supp. 308 (W.D Tenn. 1997); Smith v. Wade, 461 U.S. 30, 103 S.Ct. 1625 (1983); Newport v. Fact Concerts, 453 U.S. 257, 101 S. Ct. 2748 (1981). [xvi] The ACLU’s Fighting Police Abuse: Community Action Manual is available for free online at http://www.aclu.org/police/gen/14614pub19971201.html. The section titled “Gather the Facts” has the suggestions mentioned here. Is the City allowed to throw away possessions that you leave temporarily in public places? This question considers situations much different from what was covered in the post about the possibility that the police or other government employees might find possessions and assume that they are garbage or have been abandoned. Here, we will look at what happens when the government purposely empties out places where homeless people live. Many cities in the United States have launched clean-up efforts around holidays and major sports events to rid urban areas of the homeless. Some cities have undertaken these “homeless sweeps” not in connection with big events, but instead on the grounds that general city sanitation and beautification require it. They say that some people are intimidated by the homeless or else don’t want to do business in a place that looks unpleasant and that homeless people and their possessions look bad. Sometimes they say the homeless cause health hazards. They take away homeless people’s possessions to prevent the homeless from staying where they have been. Clearly, when government workers are required to separate homeless people from what they own there is no credible way for police or sanitation workers to claim that they merely mistook the stuff to be garbage. 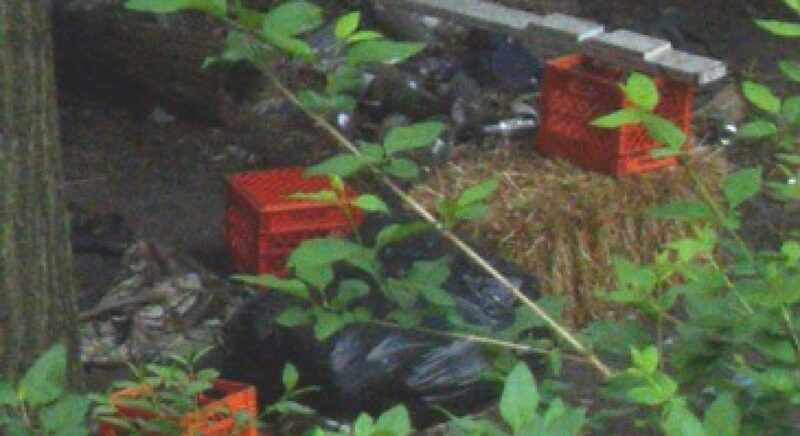 So a legal claim against a homeless sweep is not so much a matter of demonstrating what the public employees should have known, as in the situations when police or park employees simply found possessions and thought they were abandoned or garbage. Instead, this kind of dispute will emphasize what the government did know about who owned the stuff and why it was outside and how the government exploited that information to victimize citizens. ACLU offices, homeless advocacy services, and other legal support agencies have fought against these homeless sweeps with a variety of Constitutional arguments. Even though the U.S. Constitution does not specifically say that the government can’t take homeless people’s things, it has broad civil rights declarations that can be understood to mean that taking away the possessions of homeless people is unjust. Some have argued that the Eighth Amendment prohibition against cruel and unusual punishment was violated. Others have asserted that the Fifth Amendment right to compensation for government takings of property (also known as “eminent domain”) applied to the situation. Many groups have successfully used the same law that was discussed in the Lost and Found part of this chapter, the Fourth Amendment to the United States Constitution which prohibits unjust searches and seizures. 2. The Fourteenth Amendment affords the victims due process in their dealings with the government. The cruel and unusual punishment arguments have not been successful. Courts tend to hold that cruel and unusual punishment can only be a component of criminal punishment. Still, there is a strategic reason for putting it into claims; it reminds the court to think about how mean, how downright insensitive, it is to take away the last few things that people own. By demonstrating that the homeless sweep caused “some meaningful interference with an individual’s possessory interests in that property,”  lawyers for the homeless have convinced courts that taking away the stuff belonging to homeless people was against the Fourth Amendment’s protection from unreasonable seizures. Making assertions about what makes something private or who owned the items in the first place, etc… is really only one part of succeeding in a case against a homeless sweep. Besides establishing those kinds of points that connect to the Constitution, it is necessary to prove that government seizure of possessions is more harmful to the homeless owners of those possessions than the sanitation problems (or other underlying reasons for enacting the sweeps) are to the cities. This comparison, weighing the extent of the harm caused by the government’s action against the government’s need to take that particular action to solve a problem, is the formula for proving any claim that constitutional rights have been violated. When police or other government officials plan to roust the homeless by gathering up all of their possessions, they are acting with legal authority. Either an ordinance has been passed or a special order has been issued or some other legal action has authorized taking those possessions. So, whether the legal claim against a “homeless sweep” is about due process, government taking, search and seizure, or any other Constitutional right, it has to show that the law authorizing the sweep was itself illegal. [i] Kevin Bundy, Officer, Where’s My Stuff? The Constitutional Implications of a De Facto Property Disability for Homeless People, 1 Hastings Race and Poverty Law Journal 57 (Fall 2003). One of the exemplary homeless sweep cases was argued by the Pittsburgh ACLU. It is described and accompanied by copies of the legal pleadings and the settlement agreement at http://www.aclu.org/rightsofthepoor/gen/13454prs20030513.html. [ii] Johnson v. City of Dallas, 860 F.Supp. 344, 355 (N.D.Tex. Aug 18, 1994). In 2009 the National Law Center on Homelessness and Poverty put forth a model order for police departments to implement as a foundation for police interactions with homeless people. That order, which is only valid in cities that adopt it, declares that police cannot damage or destroy homeless people’s possessions unless they are known to be health hazards and that in arrest situations the police have to handle homeless people’s possessions in the same way that they would handle any other arrestee’s possessions (which typically means that they are listed on an inventory, stored by the police, and returned to the arrestee upon release). That model order is online at page 31 of Criminalizing Crisis: Advocacy Manual. http://www.nlchp.org/Criminalizing_Crisis_Advocacy_Manual Note that because this post is about property rights, the arrests that might go along with this kind of sweep are not addressed here. See the posts about involvement with the police and courts to read about arrests. [iv] Pottinger v. City of Miami, 810 F. Supp. 1551, 1572 (S.D. Fla. 1992). [vi] United States v. Jacobsen, 466 U.S. 109, 113, 104 S.Ct. 1652, 1656, 80 L.Ed.2d 85 (1984). [vii] Kincaid v. Fresno No. 1:06-cv-1445 (E.D. Cal. 2006); Justin v. Los Angeles No. CV 0012352 (C.D. Cal. 2000); Love v. Chicago 96-C-0396 (N.D. Ill. 1996); Sager v. Pittsburgh CA-03-0635 (W.D. Pa 2003)–settlement agreement available at http://www.aclu.org/FilesPDFs/sager.pdf. Annual “Illegal to be Homeless” reports from the National Coalition for the Homeless http://nationalhomeless.org/references/publications/ summarize effective advocacy work such as arranging for advance notice of homeless sweeps. If the police or other government workers find your possessions in a place that doesn’t belong to you, what are your legal rights? “[t]his text protects two types of expectations, one involving ‘searches,’ the other ‘seizures.’ A ‘search’ occurs when an expectation of privacy that society is prepared to consider reasonable is infringed. A ‘seizure’ of property occurs where there is some meaningful interference with an individual’s possessory interests in that property.” Homeless people, living outside, are likely to have their possessions searched and seized for reasons other than crime investigations. Maybe a public maintenance worker comes across the stuff and looks through it to see if it’s garbage. Perhaps a police officer goes through it or destroys it because he thinks it might be dangerous. Possibly, the mayor’s office has ordered crews to clean-up the streets. If the public worker did think the found stuff was garbage, the first thing a court will consider in the search and seizure case is whether the owner expected that his stuff was in a private place. Usually, when police have searched through garbage left for municipal collection at a curb, in an outside garbage can (even up against a house or in a permanent location somewhere),  or in a shared trash receptacle for a business or apartment,  the courts believe that the person who put out that garbage would not have had a reasonable expectation of privacy in it. Even though the stuff might have been stored outside or inside a property where the owner of the stuff does not even rent space, there are ways to demonstrate an expectation of privacy. That expectation of privacy must be considered in light of what the police have to prove for their defense; in court the police perspective will be heard right alongside the perspective of the person whose things the police went through or took away. The police have to show that what they found was equivalent to garbage. In order to successfully prove that the things found outside were like garbage, the police or other government employees have to show that they believed those things to have been unwanted like garbage. The legal term for that status is “abandoned”. Proving that property was abandoned means showing that the owner relinquished control over it. This may raise another question, what if some ordinary citizen who is not a police officer takes something that has been left out for garbage collection? Does that result in an illegal possession? The argument that applies to the police also applies to everyone else: anything that is put out for garbage collection is presumed to be abandoned by its previous owner. [i] U.S. Const. amend. IV. [ii] Id. [iii] U.S. v. Jacobsen, 466 U.S. 109, 113 (1984). [iv] California v. Greenwood, 486 U.S. 35, 37 (1988). [v] U.S. v. Michaels, 726 F.2d 1307, 1312 (8th Cir. 1984). [vi] Commonwealth v. Krisco Corp., 653 N.E. 2d 579, 582-583 (Mass. 1995). [vii] 1 Am. Jur. 2d Abandoned, Lost, and Unclaimed Property§ 3 (2006). [viii] Since the first ten amendments to the Constitution were written to control the behavior of the federal government, a Fourth Amendment claim cannot be used alone to charge that local, county, or state police have searched and seized illegally. It is necessary to also identify the Fourteenth Amendment which makes the provisions in the Bill of Rights applicable to state governments. The state constitutions also have search and seizure clauses enabling someone to bring the same kind of case in state court instead of federal court. The great value of bringing it in federal court is that, if necessary, it can be appealed all the way to the U.S. Supreme Court. [ix] Courts are not all consistent about this.